This is Tio’s story, but parts of it could be yours. An absurd tale of love and loss with a little quantum physics on the side, String shows us that we might just be more connected than we know. A graduate of Newcastle and Northumbria Universities, Allison has presented scripts at ARC Stockton, Live Theatre, Washington Arts Centre and other venues in the North East. In 2012 her short play “Toast” won the Short, Sharp Festival of new playwriting. The piece was developed into a full length play, ‘Weather to Fly’, which toured in October 2013 and will be flying again in the North East and beyond in spring 2014. An absurdist, black comedy about 3 men on an estate in Stockton who just can’t seem to escape their street. Through the eyes of the stranded men, One Way Street, looks at the consequences of what happens when people are forgotten by their government and society in general. Have you ever uttered those words “I’ll start again on Monday!”? Well these girls have! A chance to talk to the cast and creative team of each play. As part of a fifth year celebration and a commitment to trying “new things”, less is MORE are over the moon to be helping further push writers, actors and creatives from all over the North East together to create new and exciting work that keeps Middlesbrough firmly on the map. An evening spent with local playwright Ishy Din, following scripts developed from an initial spark, through to the first draft and on to a final duologue, seen for the first time as part of the festival. Remember your first kiss? That person you fancied at college, the one that broke your heart? Or the one who helped you mend it once more? In a series of interviews we find out answers to these questions and much more, asking Middlesbrough’s LGBT community what love means to them. What a superb beginning to Middlesbrough theatre’s New Writing Festival. Local taxi driver turned play-write Ishy Din gave an inquisitive audience a rare chance to witness the early development of his latest play. This unique opportunity explored the importance of tension, plot and character development, demonstrating how just a slight change in irony or tone can completely alter the structure of a play. With only two hours prior knowledge of the script the actors were able to bring to life a barber shop scene which harboured a secret. Their wit and ease on stage highlighted the importance of showing over telling and Ishy Din happily received questions and ideas from spectators. Any upcoming and new writers will be sorry to have missed this educational and entertaining evening. 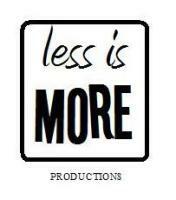 Less Is More productions are hosting writing workshops and showing number of plays throughout this week at Middlesbrough theatre. Less is MORE aim to produce innovative, exciting and quality UK regional touring theatre focussing on producing powerful new plays that challenge both actors and audience alike. We focus strongly on working with emerging artists from both Middlesbrough and the North East with a key commitment to pioneering the arts and its strength within the individual and also the community.